Every day Digi works with customers around the world to deploy connected solutions that businesses rely on. Connected devices help people use data to make more informed decisions and modernize business operations. And, connected devices are modernizing our day-to-day life as well. Here are a few of the many companies we’re proud to work with that are using the Internet of Things (IoT) to make cities smarter, and our lives easier. Many of us can’t be at home to sign for packages when they arrive, and the outdated delivery-release notes have become an invitation for criminals looking for easy thefts. We have busy schedules, and we don’t want to inconvenience our friends or neighbors to receive our packages, as they have busy schedules themselves. SmartBox decided to build a delivery system that’s safe and secure and most important, runs on your schedule. SmartBox is the world’s first Internet of Things (IoT) smart delivery storage locker. 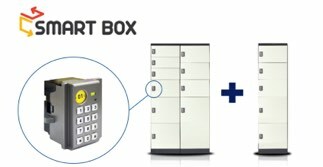 With SmartBox, delivery services can leave a package safely in a locker in a lobby or public area for recipients to pick up at their convenience. Recipients will be notified via SMS message, and thanks to a Digi XBee module in every unit, can safely retrieve their package with a single-use passcode. Read the full story here >>. Maintaining a vast and complex network has traditionally been done with copper 56k circuits at each site. However, the process is expensive and at high risk of damage from lightning strikes. 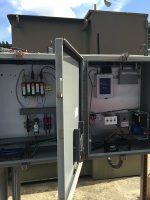 ElectriCities recognized an opportunity to re-engineer a safer and more efficient solution. They found a solution in Digi’s TransPort WR31 LTE router which was dependable enough to maintain a network connection for frequent meter reading, and flexible enough to support communications with Schneider, Itron, JEMStar and SEL devices. The implementation of this LTE solution saved over $300,000 annually on telemetry charges. Read the full story here >>. For the great city of Toulouse in the south of France with over 1 million people, public transit is an essential part of daily life. The city has two subway lines, two trams lines, and 150 bus routes. When combined that’s over 120 million trips in the last year! 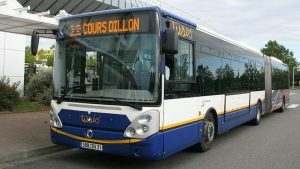 The entire fleet of over 500 busses plus buses are equipped with a WiFi-based automatic vehicle monitoring systems (AVMSs) that connects with a backend system, but only when it reached one of the Tisséo depots and didn’t provide any valuable real-time data. That’s when Tisséo turned to the Digi TransPort® WR44 R to deliver cellular communications. With the new installation, each new Lineo rapid-transit vehicle will have reliable communications for onboard systems such as security video, fare collection, CAD/AVL, VoIP dispatch, and passenger WiFi. This enables the busses to be constantly connected to a backend system offering valuable real-time data such as location, speed, and next stops. Read the full story here >>. Read more about how Digi customers are inventing new business models and changing their respective industries, visit our customer success page >>.